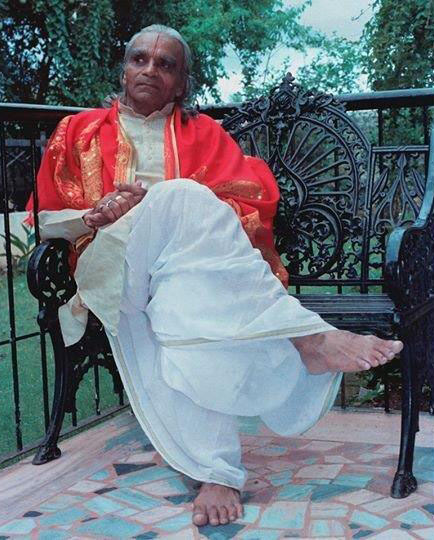 BKS Iyengar was a revolutionary figure in the field of yoga. His innovative approach to the subject made it accessible to students worldwide. He taught the whole system of yoga mainly by teaching asana and pranayama. These practices give us as students an immediate feeling of wellbeing. This is the foundational point. As the state of body/mind improves there is a tendency to want to explore further. While instructing students in a class Guruji (as he was affectionally called by his students) would seamlessly introduce verses from the Yoga Sutras of Patanjali and the Bhagavad Gita into his teaching. By being introduced to these texts in this way, many were inspired to delve into the scriptures of yoga, giving us an idea of the depth and breadth of this ancient system of self knowledge. As well as being philosophical, Guruji's teaching had a scientific component to it. He had a deep understanding of the human body both from the western anatomical view point as well the energetic eastern physiological system. His work is respected by many in the medical professions and his therapeutic application of yoga has helped patients with a wide variety of health issues over and above musculoskeletal problems. BKS Iyengar was also an artist. His own practice was so refined because of the many hours spent on the mat. During the First International Iyengar Yoga Convention he performed at Davies Symphony Hall to a full house; the audience was completely mesmerized by the skill he exhibited - showing one asana after another with absolute grace. This was one of many performances he gave around the world. Seeing what is possible for a person who was a sickly child is impressive to witness. Although Guruji has left his physical body, he will forever live in the hearts and minds of all who were touched by him directly or indirectly through the the teachers who continue share his wisdom as well as we are able.